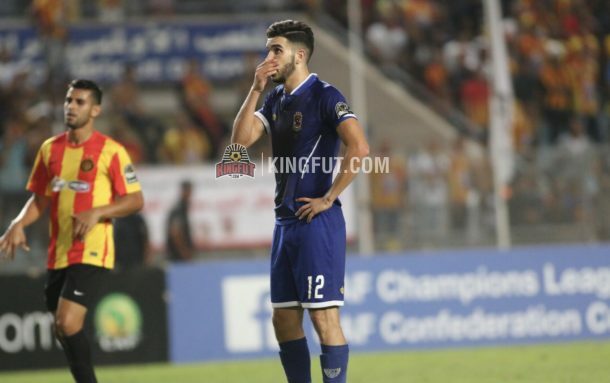 Egyptian Premier League leaders Al-Ahly have refused the departure of Walid Azarou to Saudi giants Al-Nassr, who have offered William Jebor plus cash in return for the Moroccan’s services. Azarou joined the Cairo giants from Moroccan side Difaa El Jadida last summer and has been a key player for Al-Ahly’s attack ever since, as he scored 16 goals in all competitions this season. The player has been linked to several French sides, most notably 2011/2012 Ligue 1 champions Montpellier, but all bids have been rejected as the player is too valuable for Al-Ahly. Recent Saudi reports suggested that Al-Nassr were keen on signing the 22-year-old striker during the current transfer window, with the club offering a sum of money as well as Liberian striker William Jebor. Al-Nassr were the home of former Al-Ahly captain Hossam Ghaly who joined the Knights of Najd last year, however his contract was reportedly terminated earlier this week. However Al-Ahly refused to sell the player as they believe he’s an important asset for the team. The Morocco international is the Red Devils top goalscorer this season with 11 goals, being the league’s third top scorer after, Misr El-Makkasa’s John Antwi and Omar El-Said of El Entag El Harby. Al-Ahly currently sit in first place in the Egyptian Premier League table with 48 points. Their next opponent will be second-placed Ismaily on Tuesday.